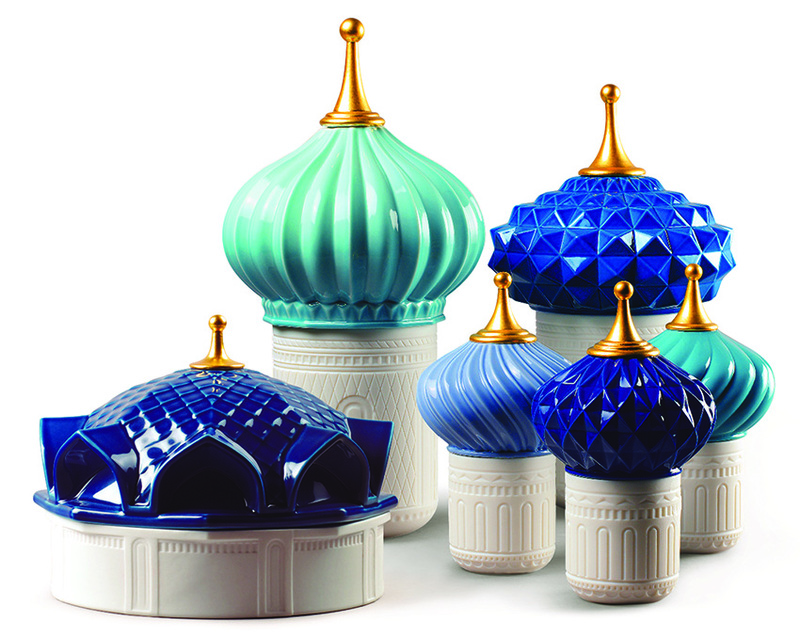 The 1001 Lights Collection is inspired by the legendary stories of One Thousand and One Nights tale, and comprises of candles in poetic containers made in translucent porcelain. The highlight here are the patterns etched by hand on its surface, the result of which is a warm and fantasy-filled ambience. 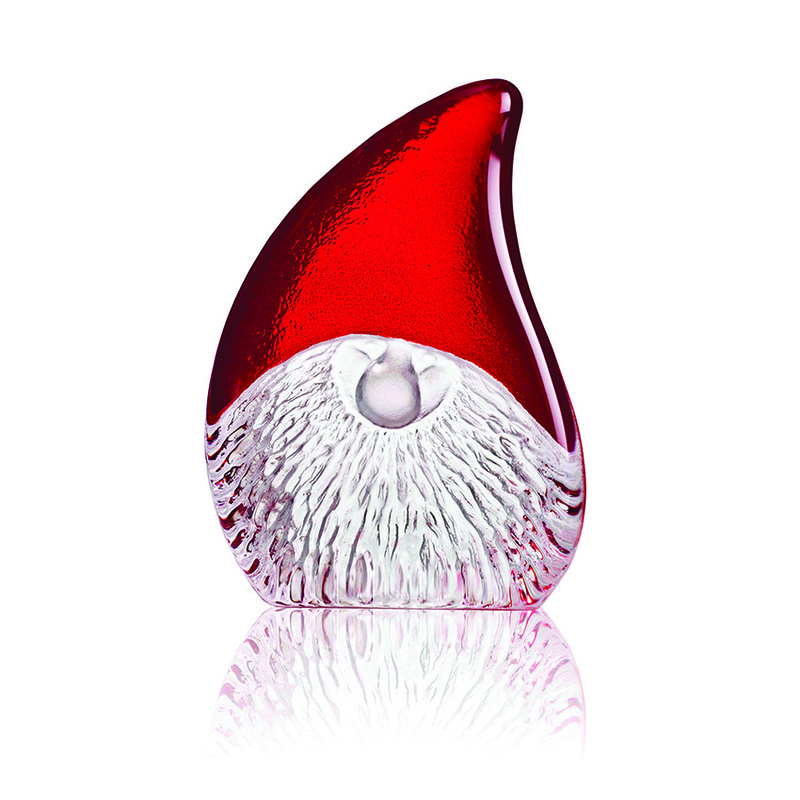 Santa, created by master craftsman Mat Jonasson at Maleras consists of unique crystal art pieces depicting Santa Claus. The cast crystal sculpture with painted and sandblasted motif is handmade in Sweden and signed on the bottom by the designer himself. 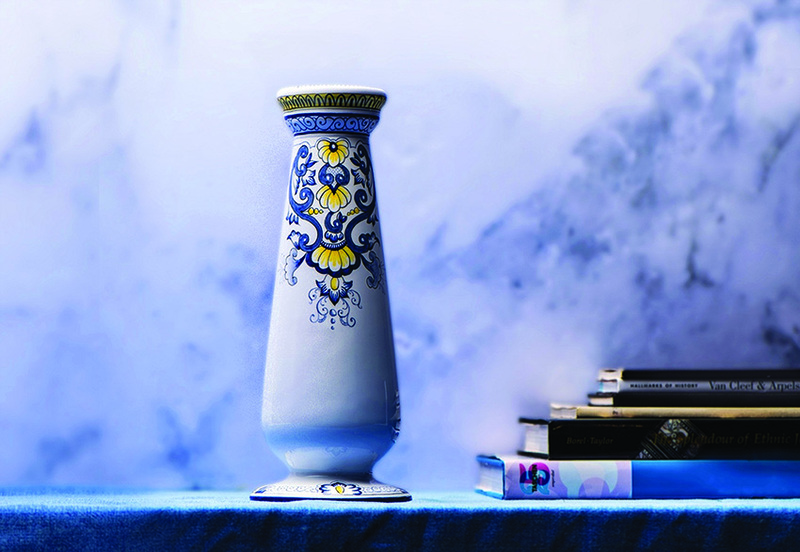 This handcrafted French porcelain vase — Blossom Blue — is glazed with enamel and decorated with signature floral and creeper motifs. 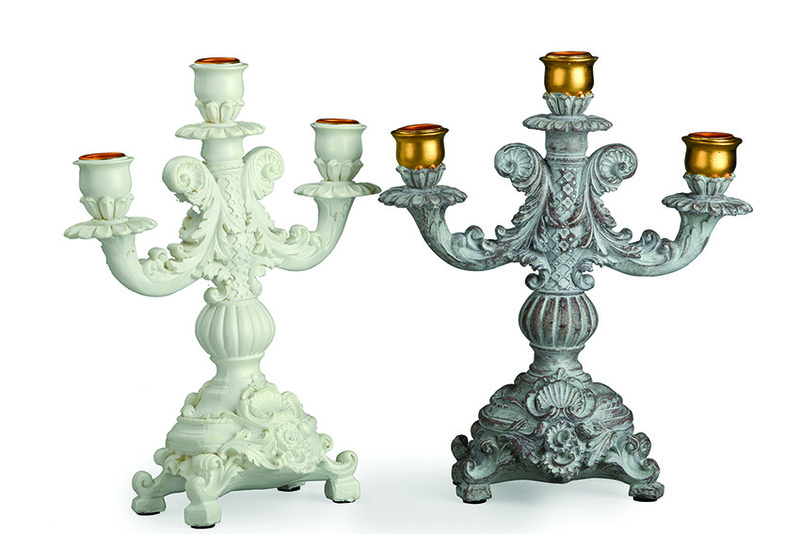 The Island Candlestand is a contemporary twist to the classic candelabra. 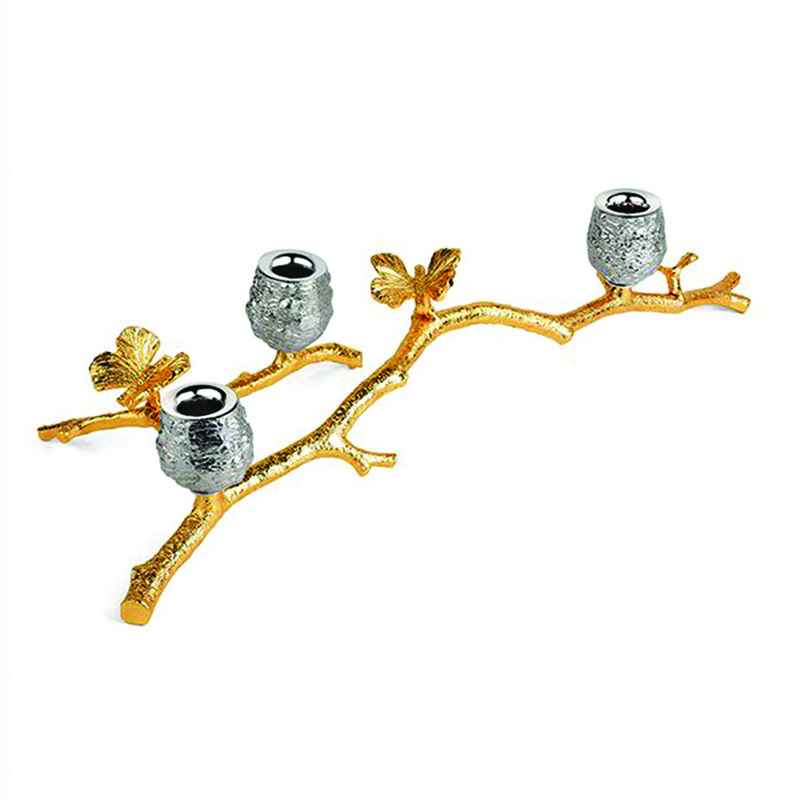 Made from hand-casted brass, it dons an antique silver finish. 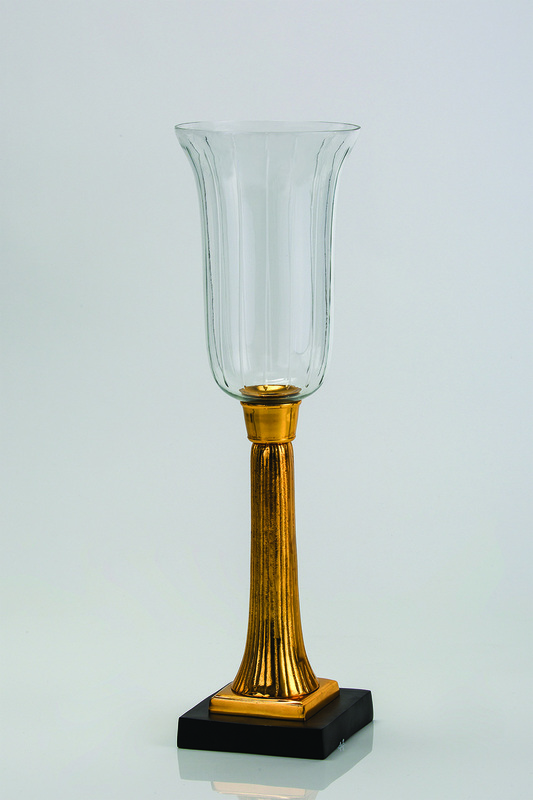 This clear hand-cut glass vase will brighten up your dining area and give a touch of royalty. 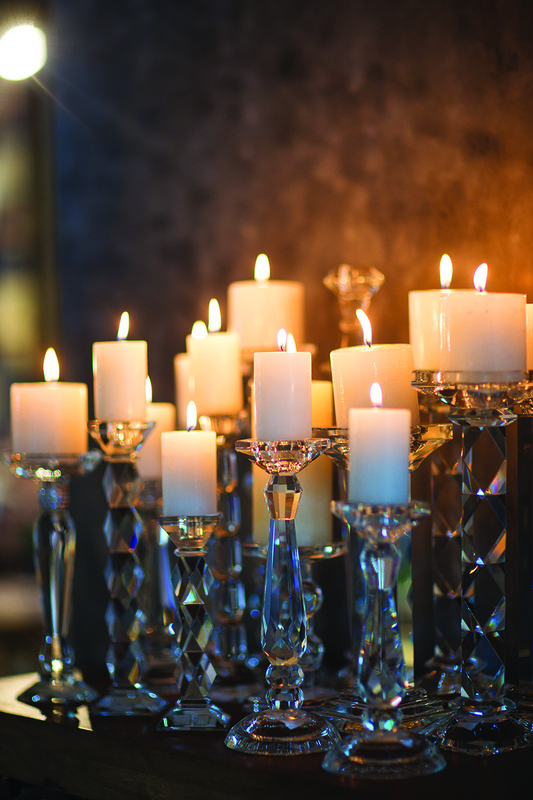 A bevy of candle holders made from crystal glass in varied shapes, sizes and designs is highly recommended for a sparkling Christmas feast table. 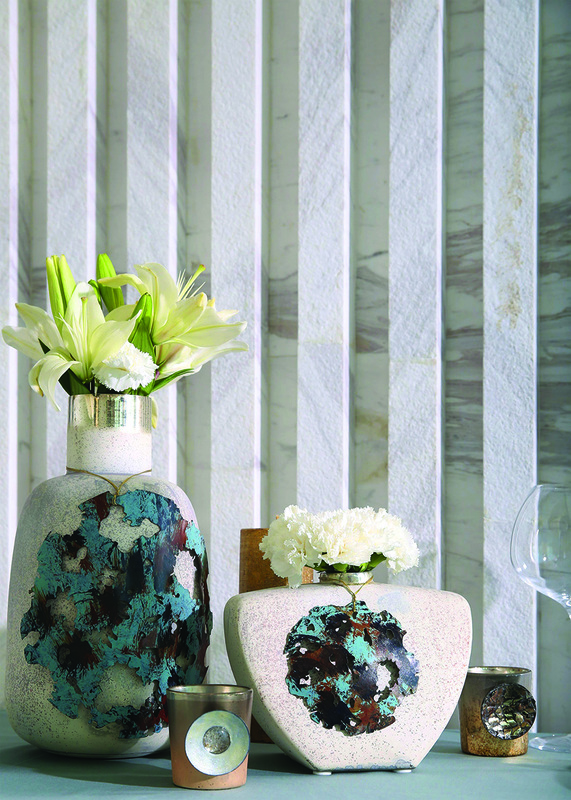 The perfect blend of modern trends and irregular vintage shape is what makes these vases statement pieces. The rustic metal hanging gives it character, and makes them a perfect fit in a variety of interior settings. These beautiful silver glass bowls are etched both inside and out with a speckled brown antique finish that tames its shine. 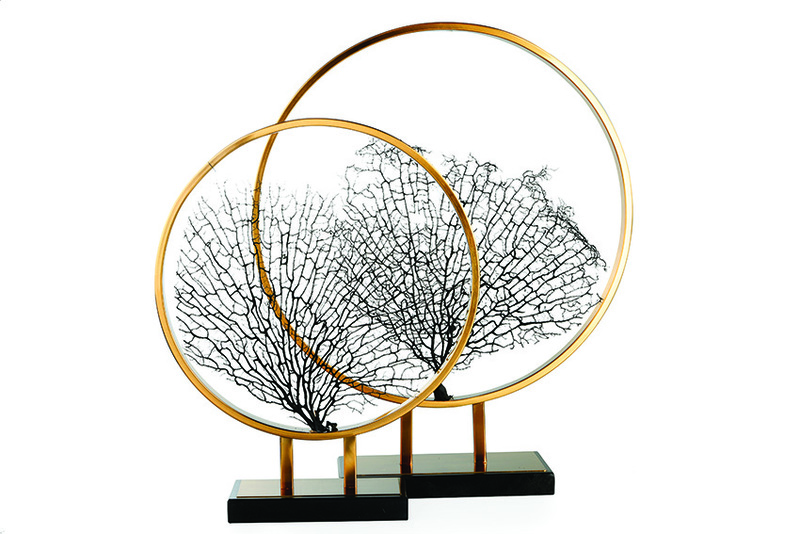 Place several together for a glamorous display, or place one alone to add dramatic appeal to any accent table. 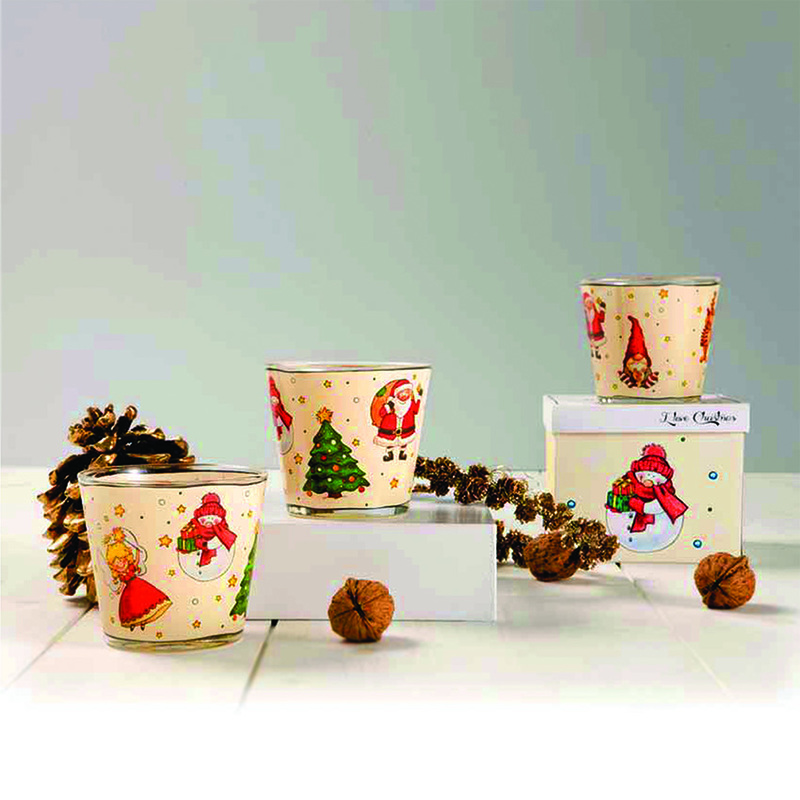 A set of lovely glass t-lights from Goebel’s ‘I love Christmas’ range would be the perfect fun addition to your Christmas feast table. This beautiful artefact made of metal with gold finish is a striking yet elegant accessory that will add to the aesthetics of your space. 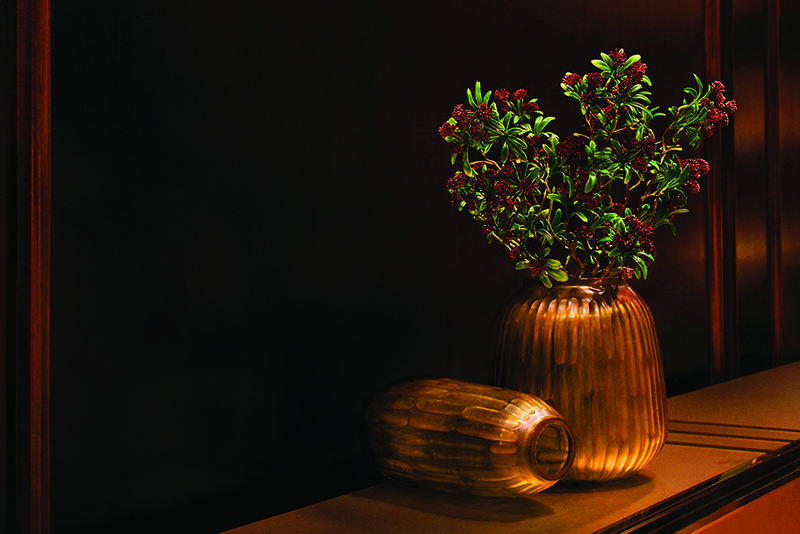 The tall Caribou accessory finished in gold gets its twist from the small planter vessel on its hump back. 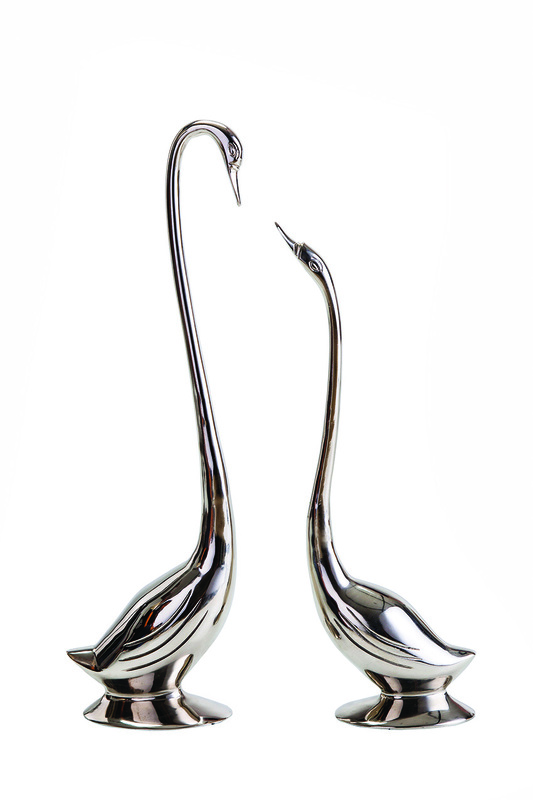 Crafted intricately and made from aluminium, these nickel-finished mini swans would sit pretty on your Christmas feast table. 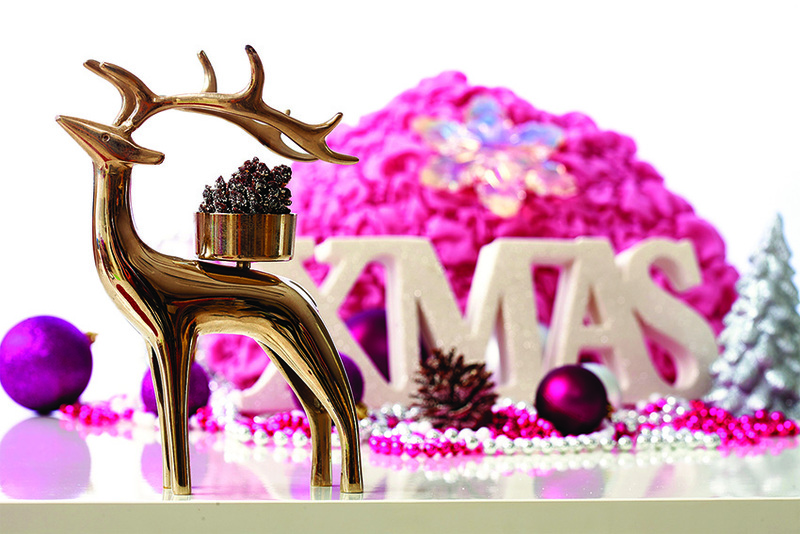 This timelessly beautiful 3-in-1 silver candle stand is here to shed glorious light on any special festive dinner table. 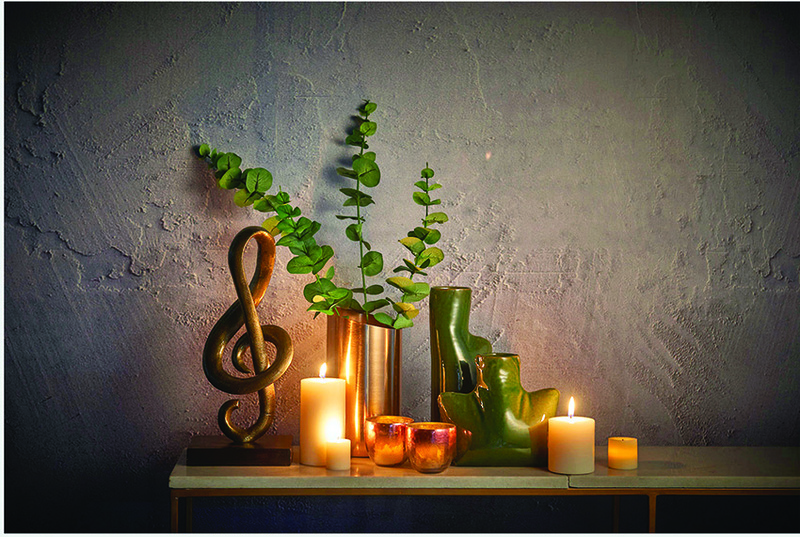 An assortment of ceramic vases in rich forest green offset, with the rose gold metal vases; a statement music note sculpture in an antique gold finish; and a bunch of t-light holders in metallic glass… group them together for an impressive feast table. 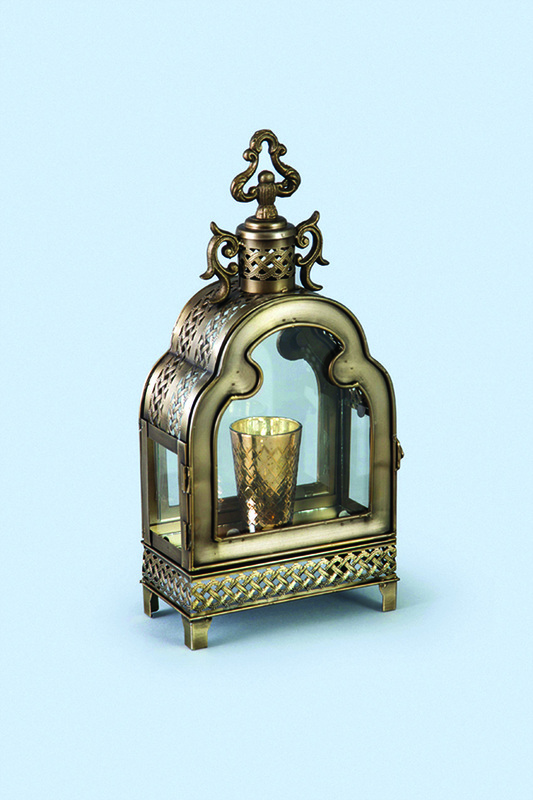 Iron latticework with brass plating, hand-etching and carving are highlights of the Shanghai Lantern. Style this ornate lantern on your dining table to create a beautiful play of shadow with t-lights, or flowers. Cassini Coasters is a tribute to the wonders discovered by the sophisticated Spy Robot named after the great astronomer Giovanni Domenico Cassini. 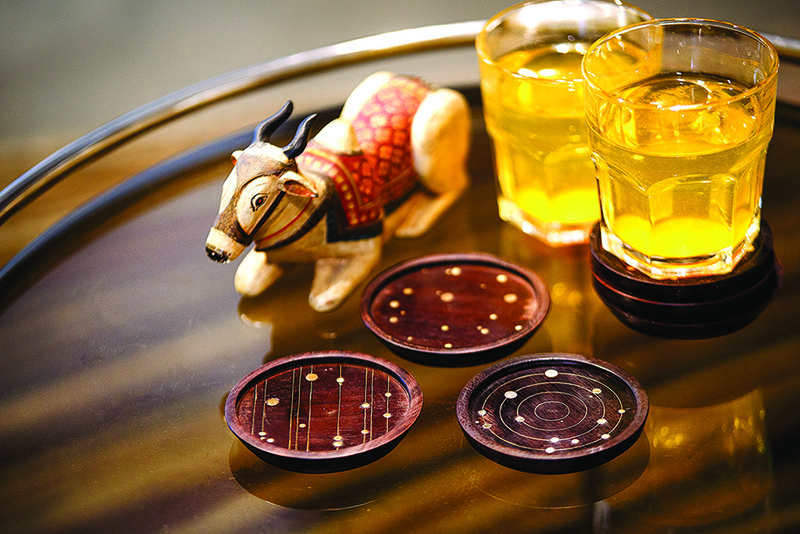 With patterns finely crafted in taarkashi brass wire inlay work on sheesham wood, the designs themes vary from titan, the largest moon of Saturn, discovery of plumes from surface of the moon Enceladus, to intergalactic wonders. 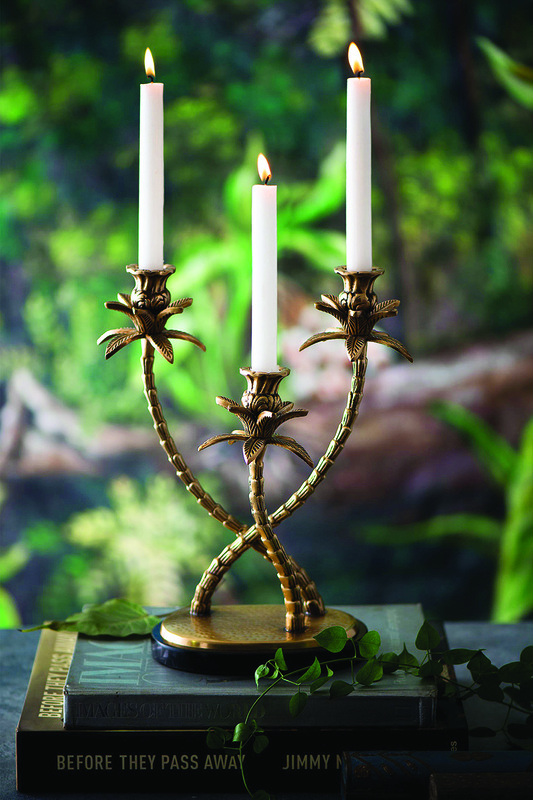 The baroque lines of this nickel-plated hurricane candle stand makes for a timeless addition to the dining table. Its line-cut glass top and the elegant flowing aluminium base make it a perfect blend of old world traditions with new world design. 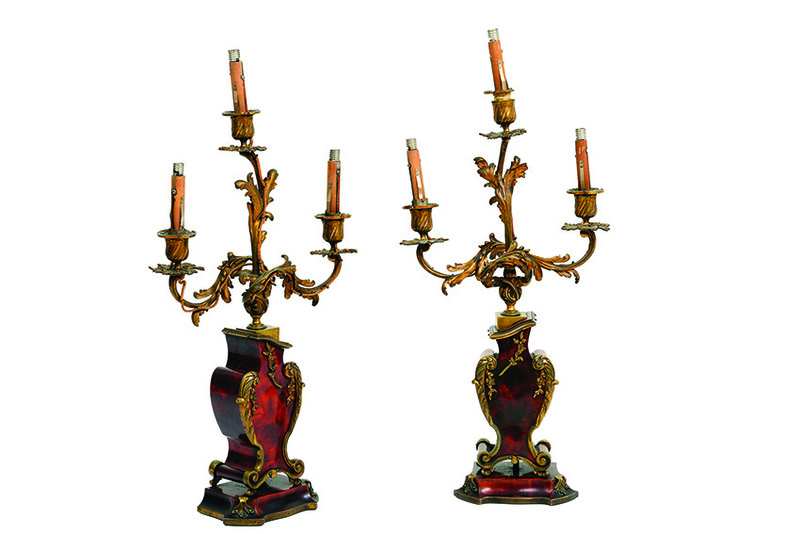 Set a gorgeous Christmas table with this pair of Original Louis Philippe bronze candelabra from Italy. 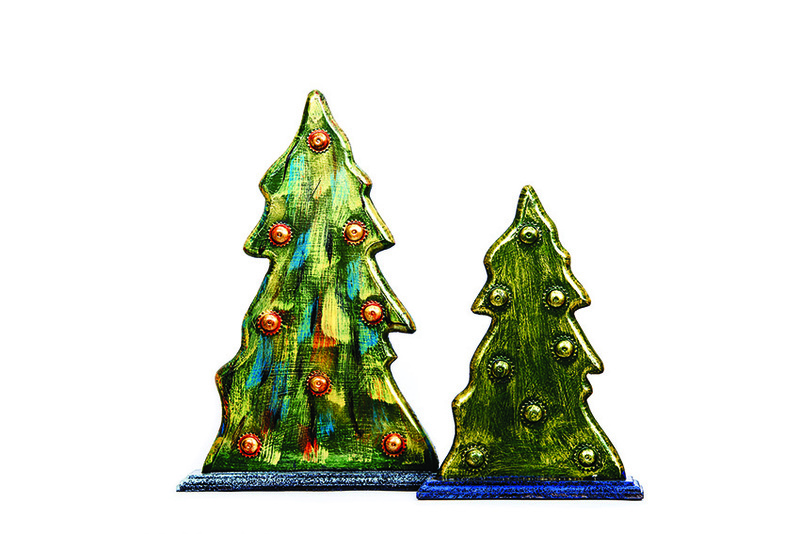 Handcrafted in wood in a delicate contour of Christmas tree, this decorative tabletop accent is made from iron and wood. 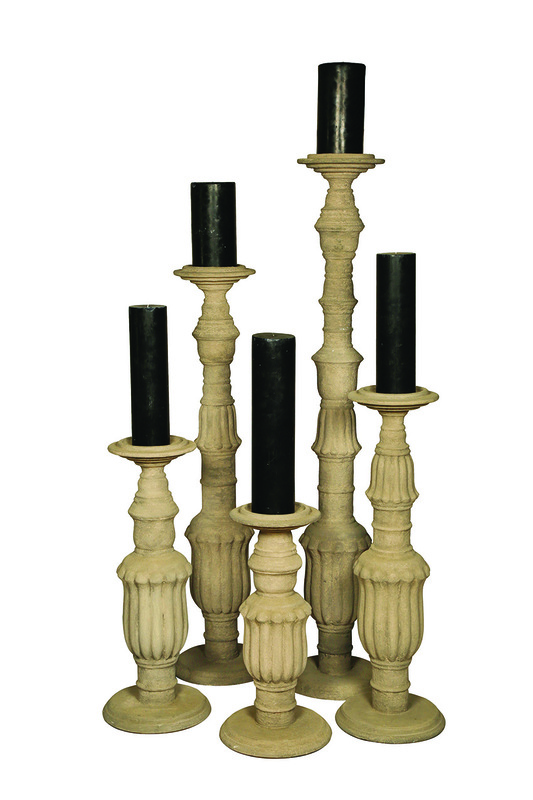 The candle stands made out of Burma teak can have great variations in terms of its size and design patterns. From a three-legged stand with delicate shapes embossed to a more solid steady shape blooming on the top to handle the light, these make for extraordinary additions to your dining table. 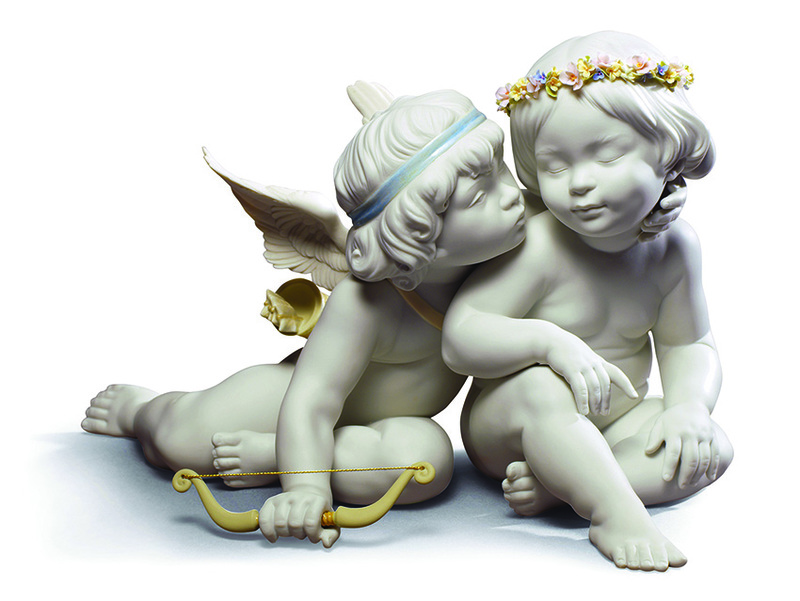 A tribute to the mythological love story of Eros (cupid in Latin) and Psyche (soul in Greek), this handmade porcelain figurine would make for a stunning addition to your feast table. 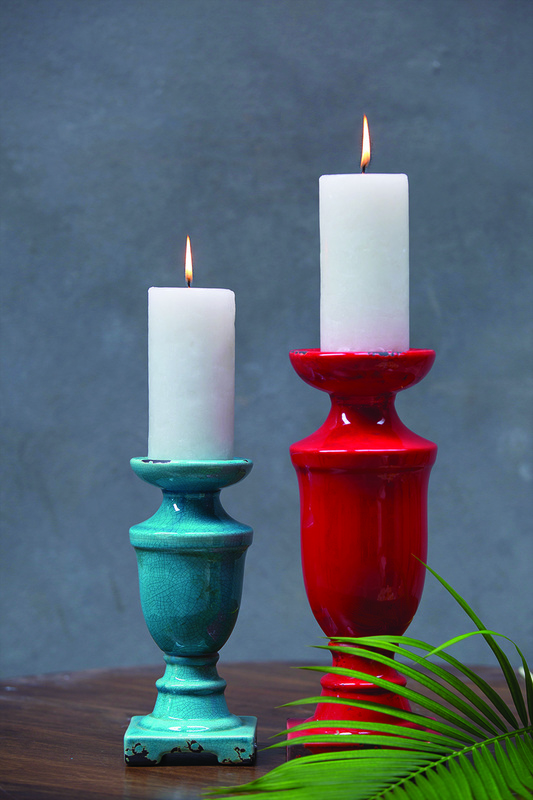 Adorned in Christmassy hues of red and green, these ceramic candle holders are apt for a traditional dining set-up. 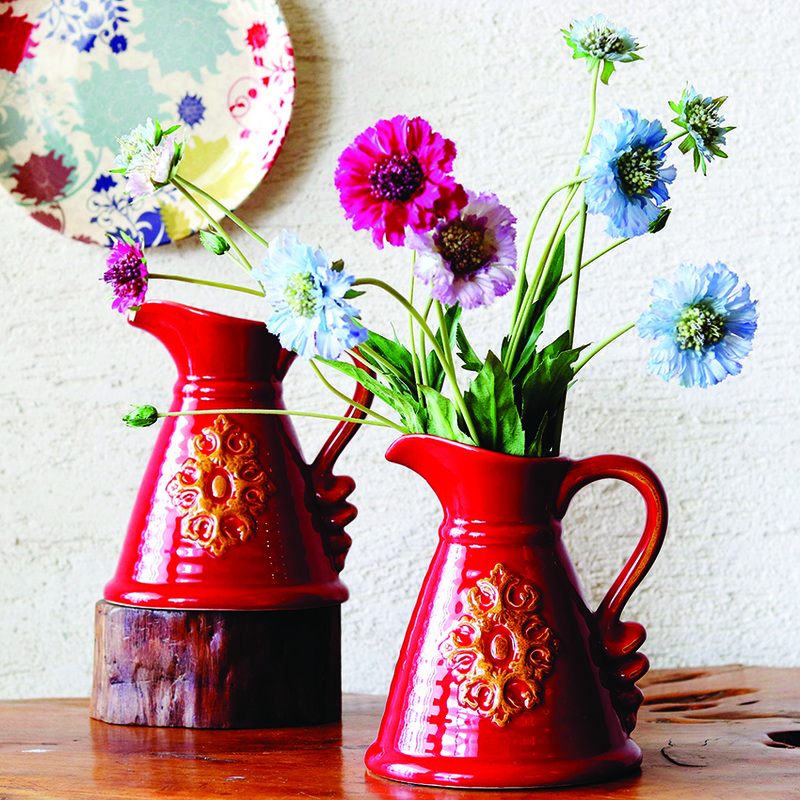 The bright red ceramic jug with its motif design is a sure-shot scene stealer both indoors and outdoors. Best for tall, graceful plants and flowers, it has a glazed, glossy and distressed look. 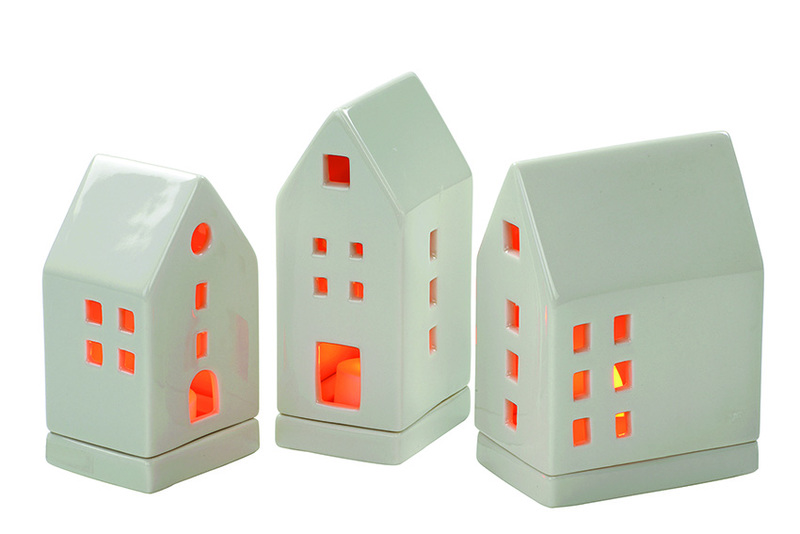 These interesting house-shaped accessories are actually t-light holders made from natural wood. Solo or in a group, they will bring a fun element to your table setting. 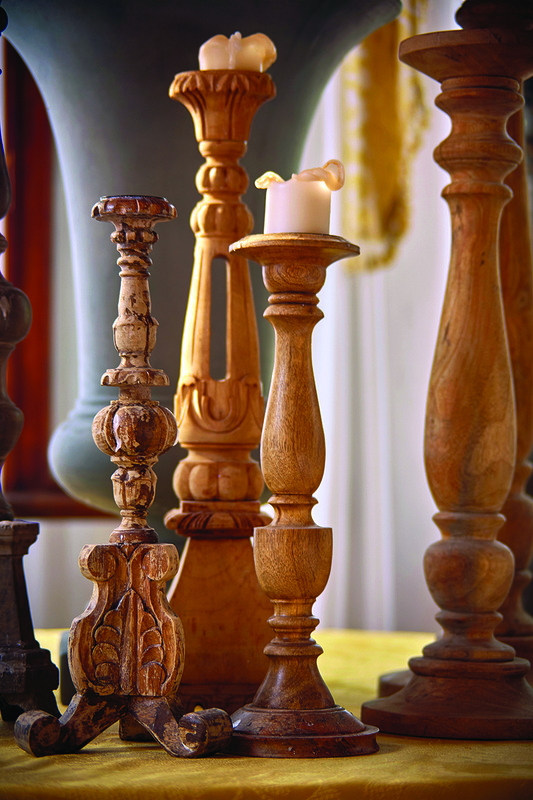 These candle stands in wood with distressed finish come in a range of sizes from 2ft to 5 ft, and will help you introduce a larger-than-life image to your interior. 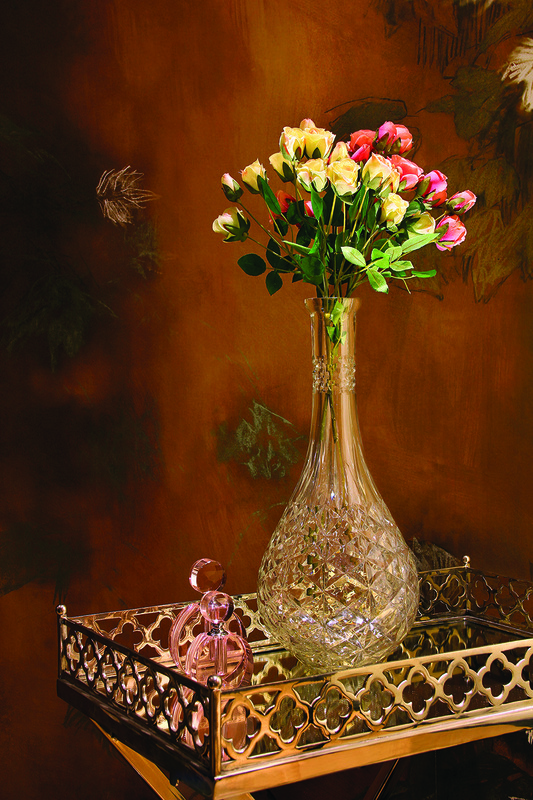 This golden-hued glass vase with an antique look will effortlessly add character and charm to your space. 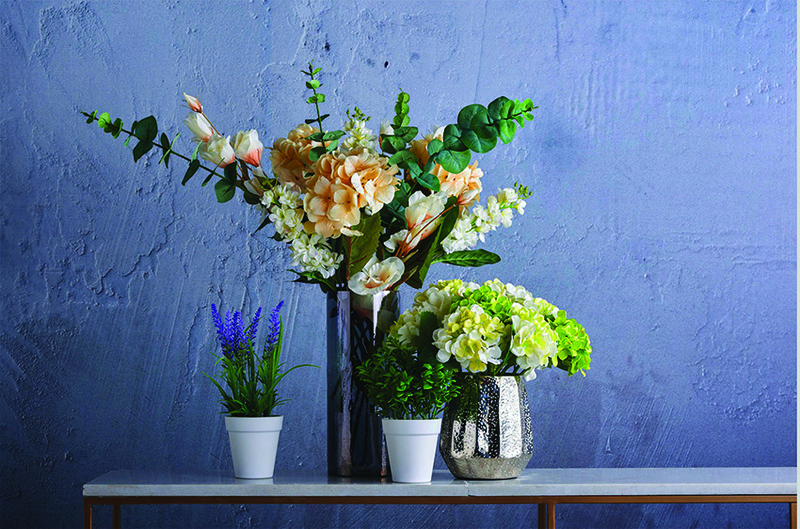 Bring a slice of the outdoors in with these faux flowers in a variety of hues. Add some potted plants in the ensemble to complete the look. These hand-poured candles from Spanish luxury home fragrance brand Cereria Molla are made following the original formula with vegetable wax, cotton wicks and the finest of fragrances. For that classic Christmas table setting, bring home this spectacular Victorian candleholder made of fibre. 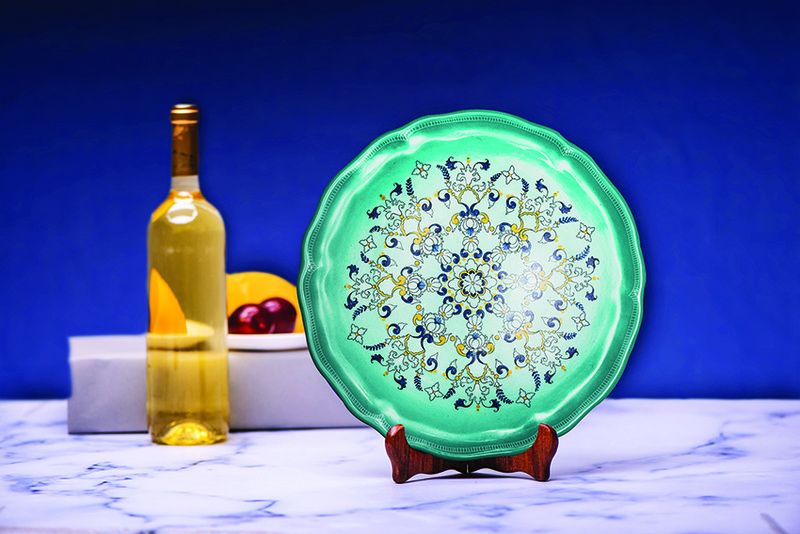 Turq Drama is a mounting plate which can go on walls and tables alike. 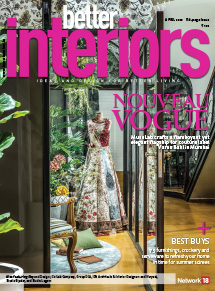 Made in French porcelain, it showcases intricate floral motifs with dainty enamel patterns and glazing.